The Auto485 adapter is a general purpose, auto-turnaround RS232-toRS485 converter that can be used to convert any standard RS232C port into a two-wire RS485 port and vice versa. connections to third party RS232 devices such as HMI, frequency inverters, barcode scanners, smart card readers, external modems etc. 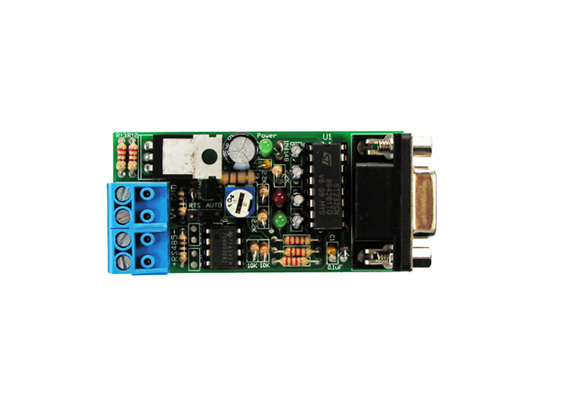 ▸ The adapter requires a 9 to 24V DC power which means it can be powered by the same 12 to 24V power supply of the PLC.